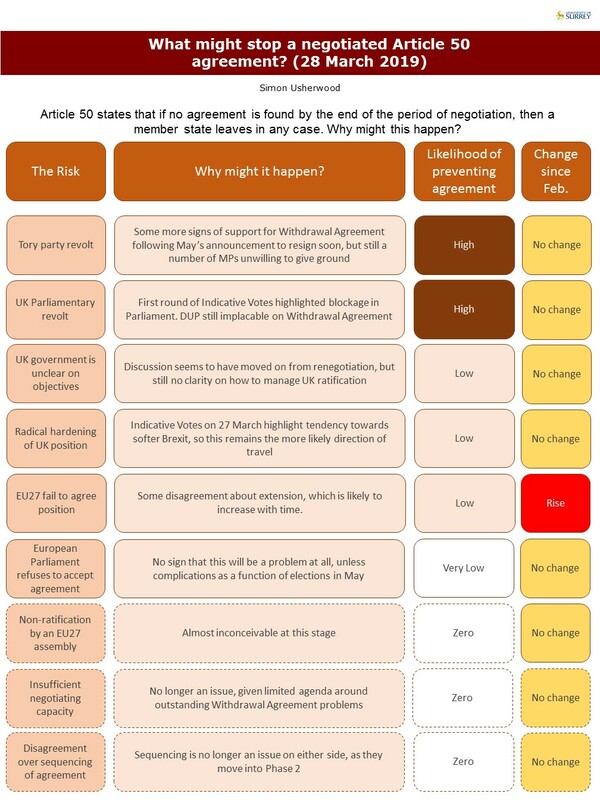 So, here we are, a day shy of the original two-year period of Article 50 and hardly much sense of how this all ends. I’ve updated the graphics as normal, although I see that next month will be a real pain in the neck with squeezing in more months (#FirstWorldProblems). For all that’s happened, not much has changed. 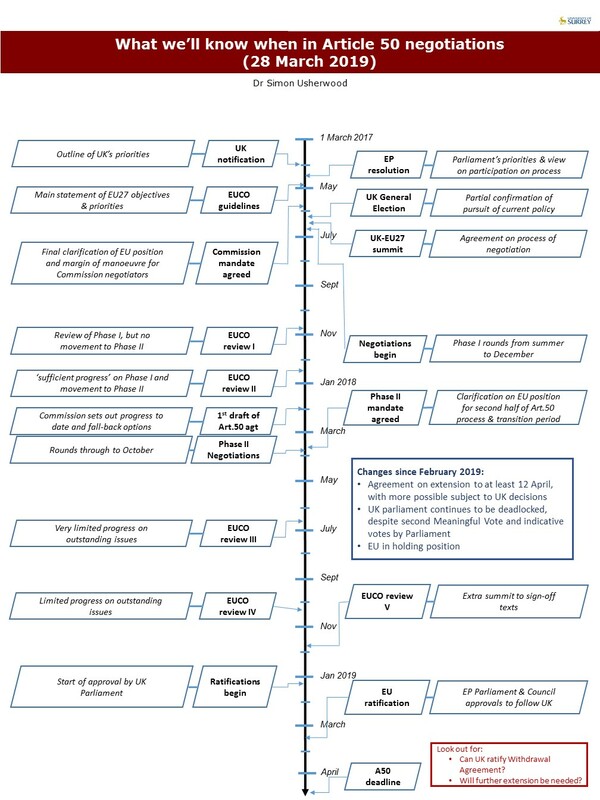 Extension looks to be the more consequential part of it all, since it is being cast in terms of the UK making choices, which doesn’t look too promising. On the barriers to agreement, I’ve not change much in the way of ratings, as I’d factored in the UK a while back. 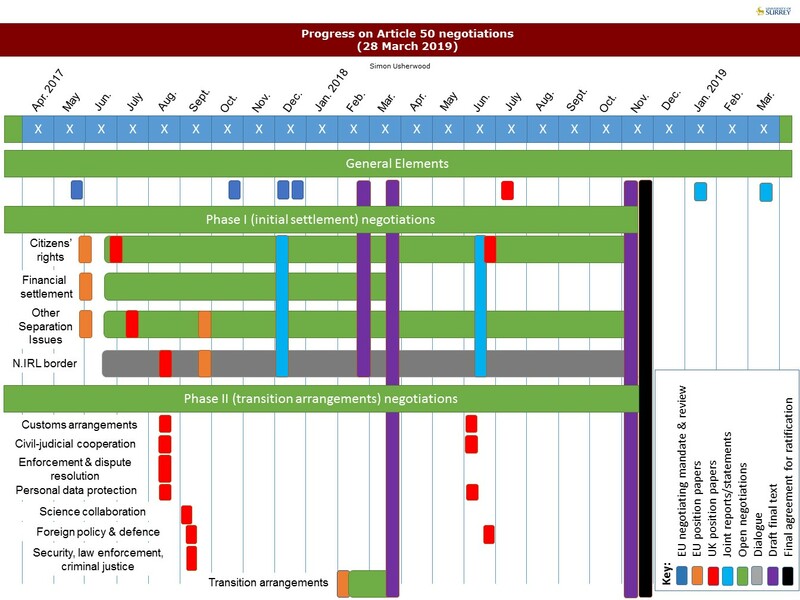 However, the EU is going to become ever more important, especially when we come back to extension number 2, which is now surely on the cards. 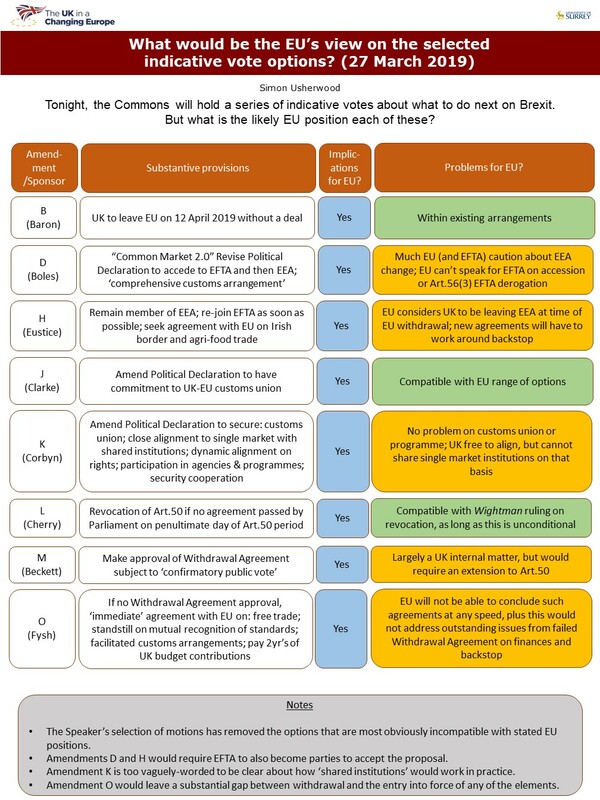 Finally, as a bonus, I add in the figure I did yesterday on the EU’s view of the various options in the Indicative Votes, which seemed to be rather popular. PDF versions at the bottom, as ever, with clickable links.